Every once in a while I come across a blog that doesn’t get near the attention it deserves. This is one of them. I would recommend you check it out, especially if you are a teacher, preacher, or pastor. Just make sure to check out more than one post so you can get a feel for what is there. I know I’m not the only blogger in the world. As a matter of fact, there are a lot of great blogs out there, some of which I read on a regular basis – and others I avoid. Well, I’m not the “other guys.” My blog is not as professional; I’m not a seminary professor (only minorly adjunct) or a contributor to denominational publications; and I don’t do enough research to come up with new lists every day. However, today this guy is in total “list” mode! The following is a list from which ALL of us can benefit. Feedback. Don’t just sit there like a knot on a log when your pastor is preaching; give him some feedback! Say, “Amen!” Wave your hand. Throw a hymnal at the pulpit. DO SOMETHING! How is he supposed to know he’s getting through to you if you just sit there silently with a blank look on your face? At least nod your head in agreement once in a while. Sit closer to the front. Look, if you were going to a concert where someone was singing that you wanted to hear, where would you sit – if you could afford it? The front row! What does it convey to the minister when you sit all the way in the back? Especially when you’ve already admitted you’re hard of hearing? Actually show up to church! Let me tell you, it really does encourage a pastor to have his congregation actually show up on Sunday morning. Sunday evening is even better! Get Your Sleep – At Home. Please, make sure that you go to bed on Saturday night at least by midnight. When a pastor sees you nodding off all he can think is, “I’m boring the snot out of that person,” and that is NOT encouraging. Pray. Try not to do it with your eyes closed (see the previous point), but pray for your pastor when he’s preaching. Let him know beforehand and afterward that you lift him up before God while he’s slugging away from the pulpit. Courage builds when one knows someone’s got his back. OH! Do you know what would REALLY be encouraging? Leave a comment below! What would you add to this list? Pastor, preacher, minister, Christian… if we feel like the Enemy is winning, like he’s not even intimidated, there’s probably a simple reason. 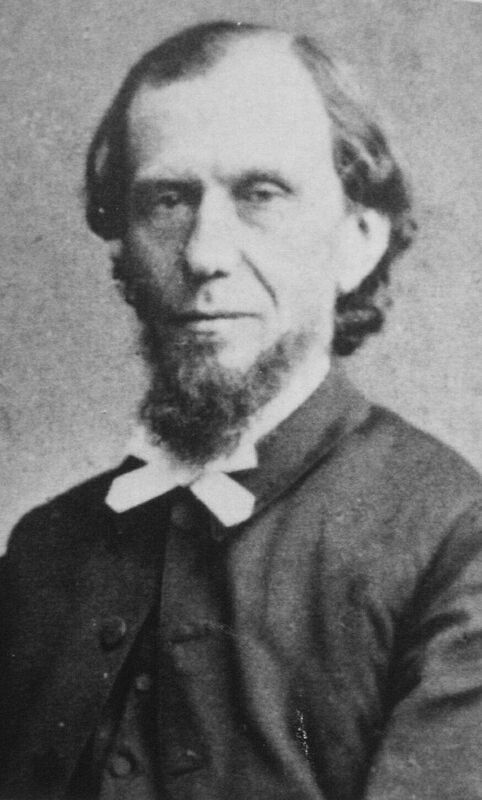 Andrew Murray (1828-1917) was a South African preacher and pastor (of Scottish decent). But more than anything, he was a prayer warrior. Some of his theology may not sit well with all of some of us, but one thing is certain: this man had a heart for God like few others. I’m not going to lie – I don’t pray like I should. What a waste! What a sin! I have preached some pretty good sermons and tried to do all the pastoral stuff, but how much more effective could I have been had I spent more time on my knees and less time at a desk? What if I spent more time talking with Jesus than talking about Him?After all, the whole reason the disciples called for the selecting of deacons was so that they might first give themselves “continually to prayer…” (Acts 6:4). Preachers, before you worry anymore about your outline for Sunday, your clever illustrations, or your Power Point, spend some more time prostrate before the throne. If we neglect earnest prayer, we’ll have no power, so what’s the point? Battles may be lost on our feet, but they are won on our knees. One finger pointing, three back at me.